Let’s get one thing out of the way: I haven’t played The Old Republic in a very, very long time. Before strongholds, before legacy, before achievements, before just about any of that stuff. I think I might have logged in once or twice after the game went free to play, but aside from that all I have to show for my pre-order is a level 26 smuggler. Those of you who have read my playthrough pieces know that I level slow, in fact even with the 12x experience boost, I can’t guarantee that I will get my current character to level 55 before the expansion hits…in December. Yea, I’m that pathetic. For the sake of figuring out just how far I could outlevel the content, I decided to make a new character and go for a Jedi Knight. The 12x experience boost only applies to story missions, which is a good thing. At the rate that story missions are propelling me through my levels, side missions don’t offer much outside of some equipment or planetary tokens. I’ve told myself that I should be focusing on story missions for now, and that I can always come back and mop up missed side missions once my speed run is over and done with. Since each story mission provides at least one level, I am currently at level 22 running a level 16 story mission. 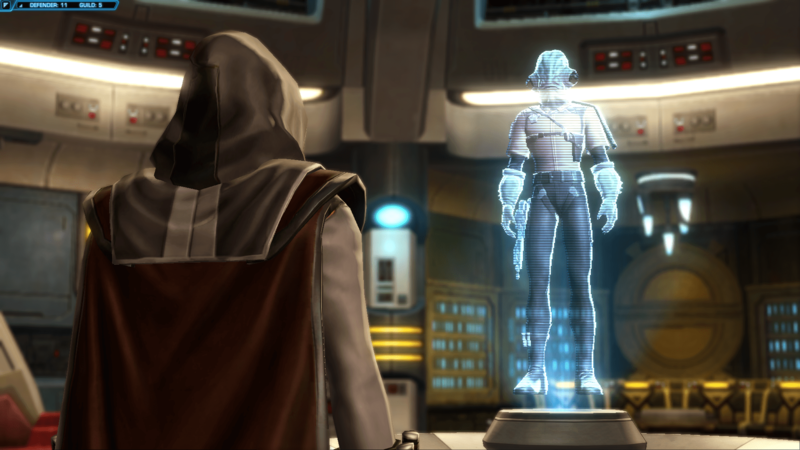 The Old Republic is supposed to be several KOTOR sequels wrapped into one, and with that in mind I am going to play the story and enjoy it. So far the Jedi story is pretty cut and dry, but the characters are interesting and the overall plot manages to seamlessly change from planet to planet. The story is basic Star Wars: There is a sith doing bad things, and you kill him only to find out that there is a badder sith somewhere else controlling his strings. Rinse and repeat. The side missions that appear in the middle are where the creative minds at Bioware really shine through. For instance, you arrive on Coruscant to find that not a whole lot of people particularly like you. The Republic troops on Coruscant don’t trust the Jedi because they up and left when the Jedi temple was sacked by the Sith, leaving the planet to be overrun by criminal cartels. While the resource-starved Republic was forced to withdraw its forces, a militia called the Justicars formed up to fight the various crime syndicates only to find that their efforts too would not be enough. Many have lost hope in the Republic, and some are even considering switching over to the Empire who seem more willing to stamp out crime on the planet. 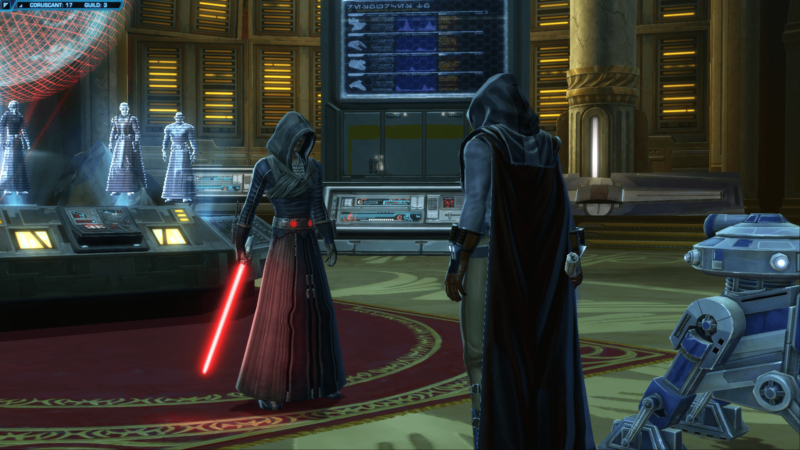 It seems that even in the old Republic, there is no shortage of misery caused by the inaction of the Jedi order. One small aspect that I enjoy is the crew affection rating. In conversations, you can gain or lose affection rating with your companion based on what you say. As a jedi, my companions are better tuned toward feats of courage and compassion than malice and revenge. They call it the Jedi Order for a reason. While I wouldn’t describe my feelings as overenthusiastic, I am having some fun playing through The Old Republic. Who knows, maybe by the time the December deadline comes around, I’ll be on my second character. I doubt it.